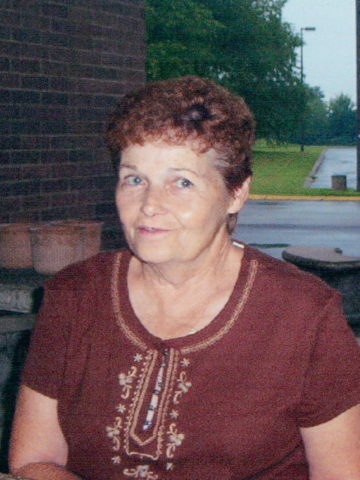 Juanita Gafford, age 80 of Springfield, passed away on June 25, 2018 at North Crest Medical Center. She was born Lillie Juanita Hamersley on August 29, 1937 to the late Odell and Mary Elizabeth Hamersley in Nashville. She moved to Chicago in 1959 and worked for Stewart Warner until the company moved to Mexico in 1992. She returned to Springfield and moved in with her son, she got a job working for the State of Tennessee Department of Safety as a Clerk until she retired in 2012. She enjoyed traveling to different states playing music and going to Kentucky to play Bingo. She lived life to the fullest and enjoyed every minute. In addition to her parents, Juanita is preceded in death by her siblings, Jean Dixon and Freddie Hamersley. She is survived by her only son, Bobby Lee Gafford and two grandsons, Bobby Wayne (Dee Dee) Gafford and Stephen Nicholas Gafford. A Life Celebration will be held on Wednesday, June 27th at 1pm in the chapel of Springfield Funeral Home, burial will follow at Springfield Memorial Gardens. The family will receive friends on Wednesday from 11am until the time of service at the funeral home. Springfield Memorial Gardens, Funeral Home and Cremation Center were entrusted with these arrangements. So very sorry Bobby but she is in a better place. My heart breaks for you Bobby. Your mom was a great woman. May God give you the strength to help you through this difficult time. Prayers for you and your family and friends. trust in him for what we need.